UAE-based airlines announced recently that they’re opening hiring opportunities for a number of positions, including flight attendants and pilots.Among those hiring, Emirates Airlines confirmed that it is looking to expand its cabin crew team, while flydubai just announced that it is hiring pilots, and the positions are open to candidates based in the UAE and other markets as well. Other roles have also popped up at Abu Dhabi-based Etihad Airways, which is currently recruiting for a number of positions on the ground. “Emirates hires talent from around the world in order to meet its operational requirements. We are currently inviting applications from candidates to join our cabin crew team,” an Emirates spokesperson told. Applicants are encouraged to visit the airline’s careersportal for up to date information. A cabin crew position at Emirates offers a tax-free starting salary of approximately Dh9,500 per month, and applicants who want to join the team need to have at least a high school diploma to qualify. The airline announced last month that it is buying at least 36 new A380s. Overall, analysts say that airlines will continue to be conservative in recruiting new talent, especially for roles not related to customer service, as they face tough competition with global industry players. “We are well positioned geographically, but our competition is global, international and technological advances. So, airlines and aviation-related companies will need to be conservative in hiring non-customer/passenger facing roles,” added Kelly, who works as senior client partner and global co-lead for civil aviation practice in Europe, Middle East and Africa – Asia Pacific, at Korn Ferry. Kelly said the positions in demand these days at aviation companies are for IT and tech-savvy professionals or so-called “holistic IT talent” that can work with mobile apps, cybersecurity, data analytics, business intelligence and social media.There are also opportunities for commercial talent, as well as engineering and maintenance personnel at all levels. 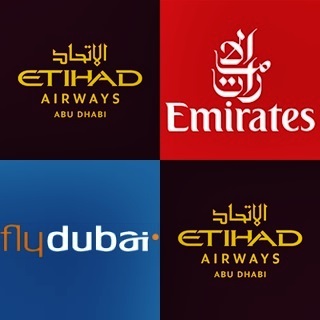 At Etihad Airways, the positions available so far this month include finance officer, online sales, head of customer engagement and data insights manager, which are all based in the UAE.For other markets, there are vacancies for guest services agent and chief commercial officer in Seychelles; digital sales manager in Sydney, Australia, cargo supervisor in Rome, Italy and sales representative in Delhi, India. The airline has so far not announced vacancies for cabin crew positions. In 2016, Etihad said it would freeze the hiring of non-operational employees but would continue to add new pilots, cabin crew and engineers.